The area of plantation forests harvested in New Zealand every year is forecast to continue increasing for at least the next decade. The productivity and safety of all harvesting operations are paramount, no more so than on the many steepland sites now reaching maturity and being harvested. 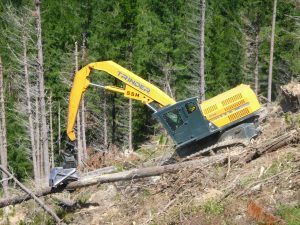 The Steep Land Harvesting research programme has achieved some major advances since it began in 2010, and the industry is rapidly adopting new technologies developed by the programme.